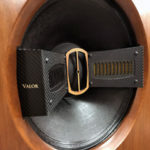 By the time this review gets printed, the Zesto Audio Andros PS-1 Phono stage will have been widely publicized, and probably will have won multiple awards from different magazines from around the world. One might ask why would I want to write a review on product which does not need further endorsement, and especially when my colleague Ray Seda has done such an excellent job with the first review. First of all, I am writing this review as a result of a promise I have made. During the 2012 CES, Ray insisted that I go to listen to the Zesto phono stage which he thought was an excellent sounding product. He introduced me to George Counnas, designer and owner of Zesto Audio, whom I found to be an exceedingly friendly and approachable person. After hearing what George had to say about the circuit design, and listening to the unit they had on display, I was sufficiently impressed that I decided to buy a unit just to see if the product would sound as good as it did in my system. I also mentioned to George that if I liked the product, I would write a follow-up review on it, so here I am fulfilling my promise. Second, I have now lived with the Zesto phono stage for about a year, and I truly believe it is an exceptional product so I want to write a short, concise article to express my appreciation. I must admit, when it comes to phono stages I am a little difficult to please as my friends would say. I have tired over forty phono stages in the past six years (and counting), and of which I have only kept five to six which, the rest of them simply do not meet all of my criteria of evaluation. The Zesto , happens to be one which I have kept, and it is also the least expensive of them. Since this is a follow-up review, I will not go into great details into the general features of the product, or recount my listening notes especially when Ray has already done a most excellent job in his article. I will simply outline six reasons on why I think the Zesto Andros is the best phono stage within, and likely beyond, its price category. In fact, if you use these six points below as a check list, you will quickly see that very few of the Zesto’s competitors can meet these criteria regardless of their asking price. The Zesto Phono stage is one of the quietest tube phono stages I have owned. Though not as quiet as solid state, it produces a significantly lower level of white noise than most tube units I have used. At 50% volume with no record playing, I could hear a minimal level of white noise coming from the speakers. The unit is almost as quiet as the Audio Research Reference 2 SE which carries the much heftier price tag of $ 12,500. Yet, the Zesto carries a price tag of only $4,300. 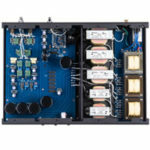 There are no shortage of tube phono stages in the $3,000 to $5,000 category, some of which have won “Product of the Year” awards. Yet, many of them have been tried and found wanting on the “quietness” scale. Perhaps quietness is a factor which many reviewers simply choose to ignore. In my book, quietness is a basic requirement of a properly designed tube circuit. A noisy tube phono stage is unacceptable to me regardless of what other positive character traits it may possess, because noises are simply very annoying: “Deeeee”…. “Woooo”…..”Shaaaaa”……. they are like flies hovering over your forehead on a beautiful summer night. Regardless of whether they are ground noises or tube noises, quietness is a quality which I cannot live without. I do not possess enough technical knowledge to make a case for or against the use of negative feedback. The advantages of negative feedback in circuit design are very well known. Some are committed to it, while others are vehemently against it. Theoretically, it reduces distortion and extends frequency extension. But when used excessively or implemented incorrectly, the audible side effects of negative feedback can be bothersome. It imposes a sonic trait that is consistently rounded at both ends of the frequency spectrum which can rob the music of ambience and natural harmonic decay. The Zesto Andros uses no negative feedback in its circuitry. For an MC tube phono stage to be able to handle low output cartridges with minimal noise level without the use of negative feedback, is truly not an easy task. 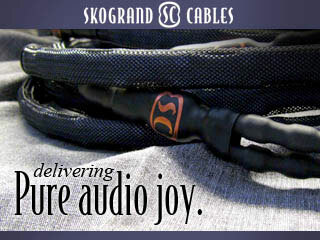 The Andros was able to deliver 65 dB of gain by utilizing three gain stages. The first gain stage is an internal step up transformer, followed by two additional gain stages using two 12AX7 tubes per side, separate for each channel. The Andros was able to drive five of the six MC cartridges I tried, including the low output ZYX Universe II with 0.24 mV, as well as the My Sonic Lab Ultra Eminent BC with 0.29 mV, but unsurprisingly, not the Kondo IO-M which has only 0.12 mV of output. The best sound, however, was achieved when higher output cartridges were used (0.4 mV or above), such as the Clearaudio Golfinger or the Lyra Atlas. Having the ability to adjust loading is one thing, but to be able to do so on the fly without having to disassemble the chassis, or having to flick computer grade internal dip switches, is a convenience that deserves to be mentioned. The Andros offers you six loading choices (20, 30, 40, 50, 100, 200, 400, and 1000 ohms), all adjustable on the fly and accessible via the rear panel. 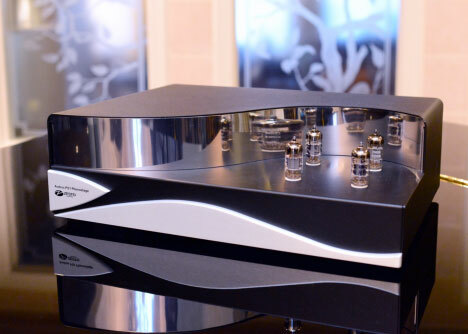 To my ears, the Zesto Andros is a sonically neutral preamp. Its sonic characteristics rest somewhere between the Aesthetix Rhea and the Manley Steelhead, both of which are noisier than the Andros, in addition to being more expensive. The Aesthetix Rhea sound is warm and voluptuous, and the Manley fast, clean and dynamic. The Andros is not overly warm, or overly aggressive. It is simply remarkably neutral, transparent, and un-restricted. For those of you who prefer the sound of NOS tubes over new Russian or Chinese productions, you will be pleased to know that the Andros uses only four 12AX7 tubes in total. NOS 12AX7s are much easier to find and cheaper than say, NOS 6922s or 6DJ8s. After tube rolling between different types of NOS tubes, I much preferred the sound of the smooth plate Telefunken 12AX7s over the stock JJ tubes. The British Mullard CV4004 from the UK Mitcham factory was a close second. Although the unit was voiced with the JJ tubes, nevertheless the Telefunken provide for an organic sound quality which has much more body, weight and extension than the stock tubes . The Mullard CV4004s are slightly warmer and more polite sounding. The overall presentation is more laid back, though not rolled off. Frequency extension across the entire spectrum, however, was the best with the Telefunkens. With a current MSRP of $4,300, I cannot think of too many tube phono stages on the market which meet all six of the above criteria. Surely, there are other units which would meet these criteria, such as the Kondo M7 (with KSL-SFz SUT), the AMR PH-77 and the Audio Research Reference II SE. The Kondo and the AMR PH-77 have a much greater sense of musicality and organic attributes which gives them the upper hand. 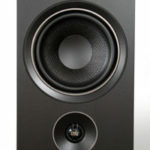 The Audio Research has a much greater dynamic range, immediacy, and weightiness to the sound. But in all of these cases you would be looking at prices which are multiples of the Zesto Andros; in fact, for the price the step up transformer unit alone on the Kondo, one can nearly buy two units of the Zesto Andros. Parked beside the “Big Boys,” the Zesto stands tall on its own, and can easily keep up with the best of phono stages by delivering a performance which can only be matched by units costing many times more. I can say with confidence that the low noise transparency, frequency extension and remarkable neutrality of the Andros will easily “smoke” many of its competitors. Do I have anything negative to say about the Andros? There are two things, though they are more of a nuisance than something truly negative. Other than for aesthetic reasons, I do not understand why the loading switch was placed at the back of the unit rather than on the front. It would be a lot more convenient if the dial were accessible through the front panel, since, when it is not visible, it is easy to forget whether you need to turn clockwise or counter clockwise. 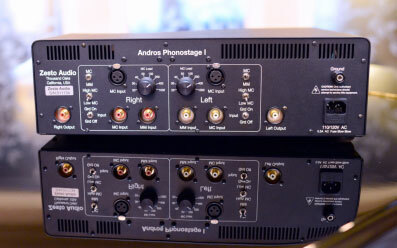 Second, despite having two inputs (One for MM, One for MC) and a switch which lets you decide between the two, you cannot really use the Andros as a two input phono stage. If you flick the switch without turning on the MUTE button on your preamp, you will get a “pop” sound from the speaker so loud that it could very well cause damage to some speakers. This has been the shortest review I have written but it is an important one. If you put a gun to my head and ask me to choose a single phono stage to buy in the $5,000 range, it would be none other than the Zesto Andros. Highly recommended and with two thumbs up. Great review and what I have found in my own system. Couple comments for prospective owners about using both inputs. I initially purchased the Zesto for a single arm TT running a Benz LP-S MR and was really happy with the sound compared to the Tom Evans Groove it replaced. I later changed to a two arm TT with Benz LP-s (.35Mv ) and an Ortofon Anna (.2Mv) . As there is only one MC input, I initially would switch Tonearm cables into the MC inputs when I wanted to listen to one or the other cartridge. This was not very convenient. Both sounded excellent but I would have to adjust the volume and change the loading when switching between the two. I contemplated buying the Manley or Rhea, but was concerned about losing the Zesto sound. As an experiment I installed a Bob’s Sky Cinemag SUT in between the Ortofon and the Anna on the MM input so that now I only have to flick the switch to go between the two cartridges. Although not as convenient due to the rear location, it is much easier than recabling and the sound is actually better as well. After running in the SUT for 10-20 hrs, the Ortofon thru the MM input is more dynamic, detailed and on similar volume to the Benz thru the Zestos MC input. 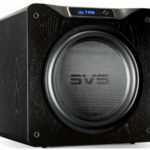 Although expensive at 20% of the cost of the Zesto, the Bobs SUT with a high end LOMC into the MM stage is a very worthwhile addition if you want to run two MCs into the Andros.